On today's show we talk to two archaeologists that have organized an amazing outreach system that they're using in the mid-west. It's called the Artifact Roadshow and it's a place where people can bring in their finds and have them recorded and evaluated. It's a great tool for public outreach and can be modeled anywhere. 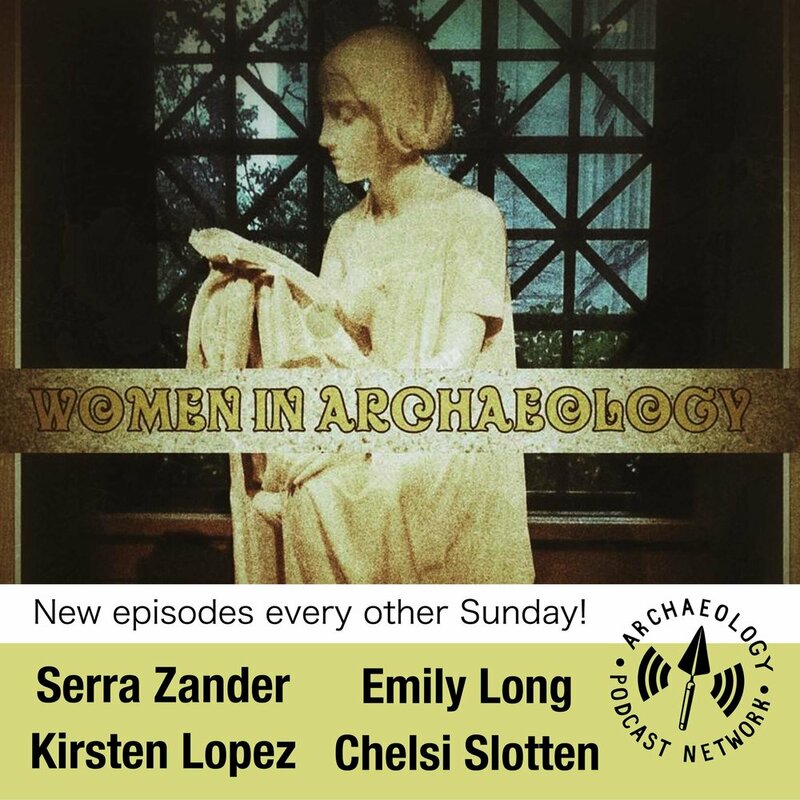 The Women of Archaeology are all professional archaeologists giving their opinions and insights into issues that affect not only women but most professionals in professional archaeology. On today's episode, the hosts will discuss the value of using older collections. Topics include some of the unique challenges posed when working with older collections, the importance of reanalyzing collections, the ethical issues of having collections that aren't used, and our personal stories to laugh at and learn from. I am a huge fan of talking about the past being created in the present, especially in the way examine objects that have travelled through time to reach us right now. Although, this focuses mainly on how we think about these items and their place with our framework of theory; however we often neglect how these items leave our thoughts and the present.